Have you ever considered your next romantic destination to be Norway? If you answered no, I’m here to change your mind. 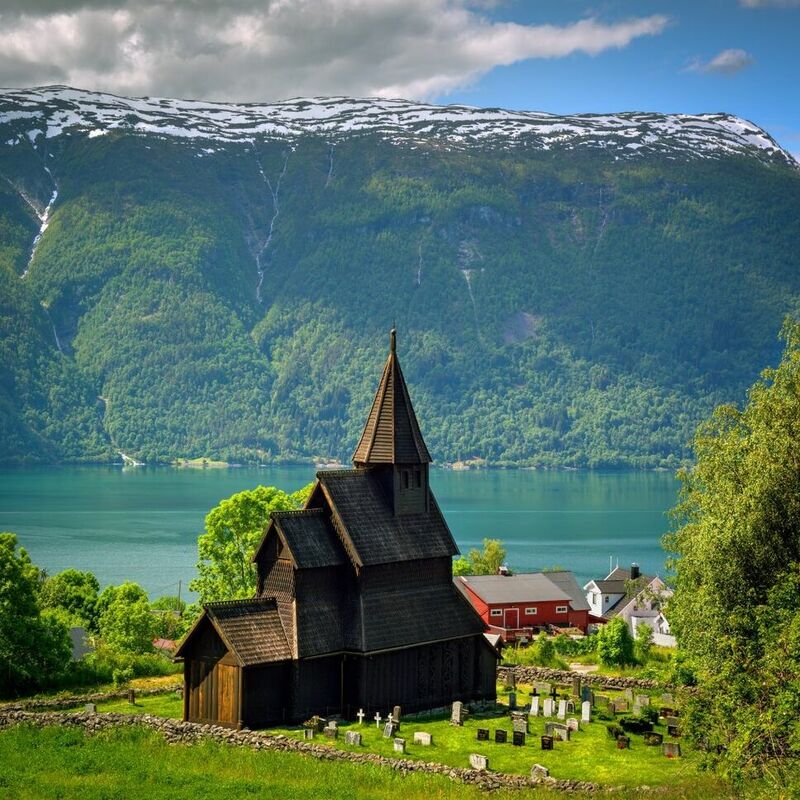 Norway offers unforgettably romantic experiences in a country known for its natural beauty. The country has something for everyone whether your idea of romantic is champagne in the hot tub under the Northern Lights, a quiet night in watching the snowfall by the fireplace, or skiing after dinner under the summer midnight sun – Norway is something special. All around you’ll find romance with your special someone. Here are some ideas for your unforgettable time in Norway. Norway knows how to do luxury. From “can I move in?” hotels to wonderful cruises, the luxury-seeking couple will find the most romantic experiences in Norway. The Norwegian Fjords are undeniably magnificent and awe-evoking. What makes them even more special is when you can cruise around them from your perfectly-designed and decorated cabin: all aboard the MS Finnmarken. The art-deco inspired renovation of this boat is due for completion in 2020 and includes the most stunning rooms. Five suites onboard feature panoramic windows. The rooms feature natural Norwegian materials like granite, oak, birch, and wool. The boat also features an onboard science center, so you will not only marvel at the passing scenery, but you’ll completely understand all of the geography and sea life you’re experiencing. If the panoramic views from your bed weren’t enough, the sauna features a panoramic view too. It doesn’t get more romantic and luxurious than this impeccable boat taking you through some of the world’s most breathtaking fjords of Norway. No need to pack your dive suit, just head to Under. This stunning space is Europe’s first underwater restaurant, located on the southern tip of Norway. It’s also the world’s largest underwater restaurant. Walk down the stairs to dine 16-feet below the surface while the sea life lazily swims by, as if you weren’t even there. The exterior of this restaurant resembles a sunken ship with its stern sticking up. Of course, the dining room features a massive floor-to-ceiling glass wall for ultimate underwater views. On the exterior cement walls in the sea, Under has installed lights to attract plankton which in turn attracts fish coming here for a meal, their own version of a restaurant underwater. The lights mean you’re bound to see stunning sea life during your experience. Under is in intimate setting with seating for 100 for events, but normal nights will serve around 40 patrons. Sure to be a memorable romantic meal in a unique location. Stay nearby at the Lindenese havhotell. This hotel is certainly one to write home about. It was one of the main filming locations of the movie “Ex-Machina,” which is worth watching for the views alone. The Juvet Landscape Hotel is the ticket to pure romance. 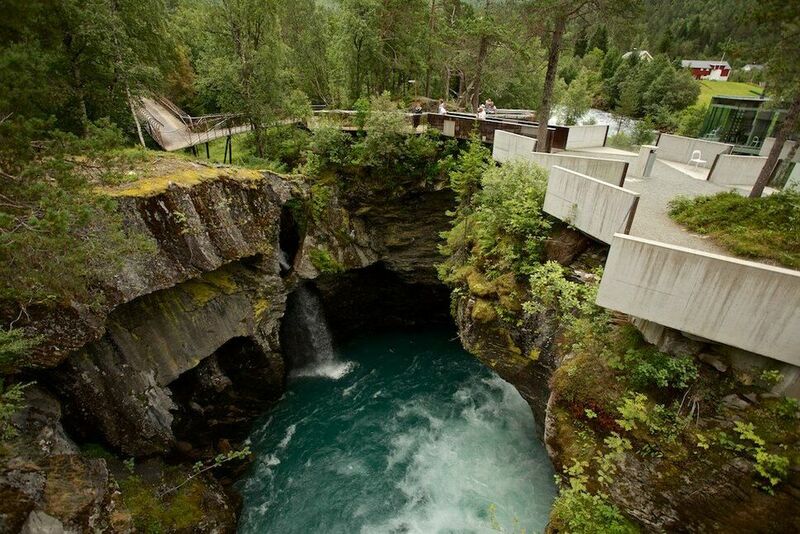 The hotel is situated on a gorge above beautiful emerald green water surrounded by boulders and birch, aspen, and pine trees. The rooms at the Juvet are masterfully designed for optimal privacy. Each room’s windows are tilted just right so you can relax while watching the world go by in privacy. The hotel has seven rooms available, each one unique and each one with floor to ceiling windows. Trust me, you won’t want to leave your room except to head to the spa with its outdoor fireplace. It’s the perfect place to listen and watch the river roll by. The Juvet Landscape Hotel is perfect in any season. In the winter, the snow is breathtaking and there’s nothing more romantic and serene than a dip in the hot tub while the snow is falling around you. The spring blossoms are beautiful. The summer sun is warm and brings the surrounding green scenery into a real feeling of “is this real life? !” And of course the fall neon colors are out of this world. This hotel certainly get our seal of approval for a world-class romantic destination. Delicately pack your favorite little black dress and those amazing heels you have been saving just the right occasion and head out for a romantic night in Oslo at the opera or the ballet. 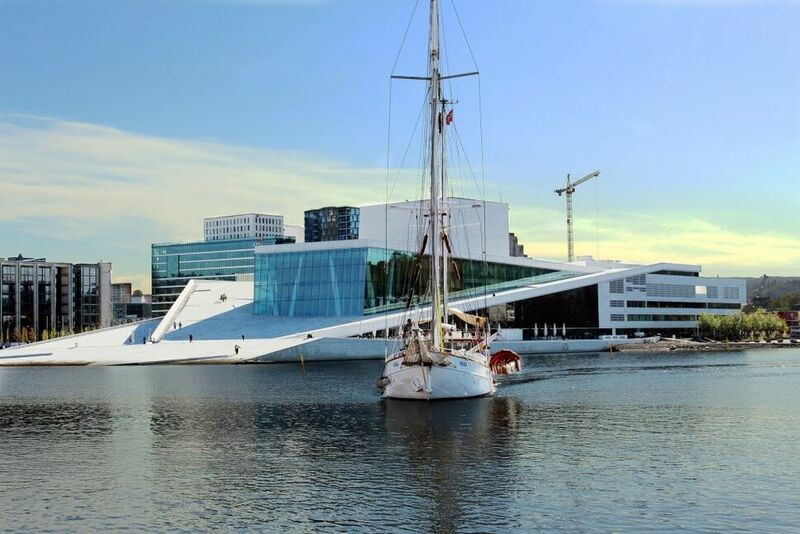 Both take place at the magnificent Oslo Opera House. The roof of the Opera House angles all the way to the ground which means you can walk up the slanted pathway onto the roof for incredible views of the Oslo Fjord. The Opera House is designed to resemble a glacier rising out of Oslo’s bay. Enjoy a luxurious dinner in the nearby trendy neighborhood of Aker Brygge, then head to a show for a night you’ll surely remember as a perfect romantic night in Norway. Jetlag be damned because Norway offers endless opportunities for the adventurous “we can sleep when we get back home!” couple. Here are some of our favorites. 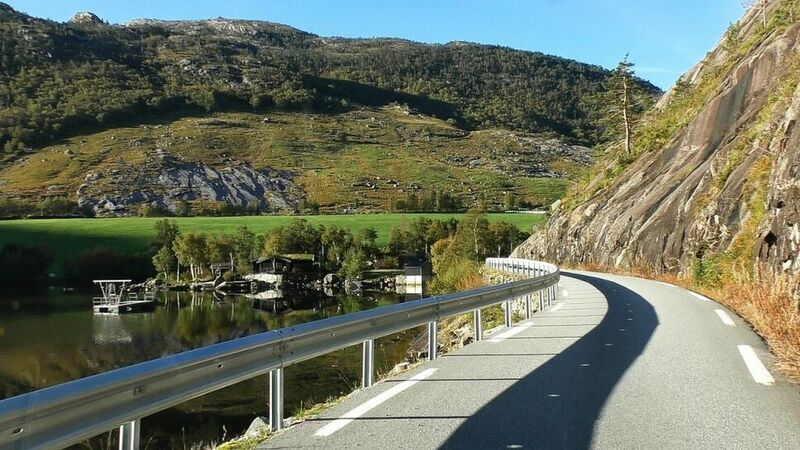 For those couples who love adventuring and navigating new paths together, stopping whenever your heart desires or you see something picture-worthy, you must rent a car and go exploring Norway on your own route. You’ll have unlimited freedom of what you’d like to include on your tour, be it beaches, waterfalls, or incredible views of fjords. Norwegian architecture is spectacular so be ready to get wowed and come home with an endless list of ideas and pictures to inspire your own abode’s design. The best news about this plan is that your US driver’s license is valid in Norway, so you won’t need to get an international driver’s permit. Renting a car is as simple as is it in the United States and it’s incredibly affordable. This is a great guide of 18 scenic routes to get your inspired and start your couple’s road trip planning. The road trip could even incorporate everything on this list if you’re going for the ultimate Norway romance trip! Pack some new and fun Norwegian snacks to try (the candy selection is alone worth moving to Norway), press play on your favorite playlist and get ready to soak up the stunning scenery. This trip is especially fun during the midnight sun (May to July depending on location) which literally means the sun sets at midnight and rises around 3:30 a.m. leaving tons of daylight hours for exploration. 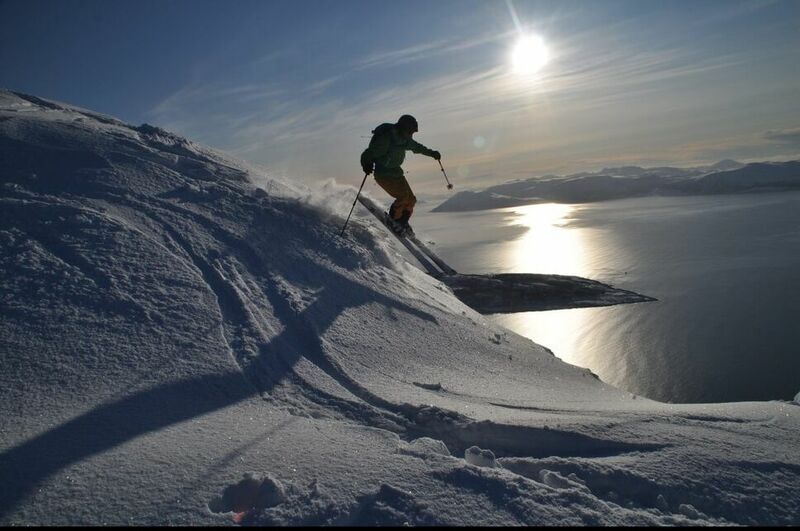 From February until the end of May at the Lyngen Lodge in Lofoten you can ski like you’ve never skied before. The lodge’s skiing package includes full room and board in their boutique hotel with transportation to and from Tromso Airport. But at the Lyngen Lodge you don’t head out directly to the ski lift – you head onto the boat or the snow mobiles for your skiing adventure. Board the boat with your ski boots on, enjoy the ride, and disembark for the best day of skiing you’ve had in your life. If you don’t believe me, check out the video to see what you’re in for. After skiing, head back on the boat for some beer and champagne, fishing, or take a dip right off the boat if you’re feeling extra adventurous. If snow sports aren’t your thing not to worry. The lodge also offers great tours to catch the Northern Lights or go on a dog-sled adventure. These are both quintessential romantic experiences in Norway. Let us know what type of romantic trip you’re looking for, and we’ll plan it all for you! All you have to do is pack and beg a friend or neighbor to drop you love birds at the airport! We’re passionate about how fantastic this Nordic country is and all the romance it offers. Send us a message and let’s get started!